California loves Sour Diesel, and it shows in the sheer variety of flower, concentrates, and even clones found on the market. 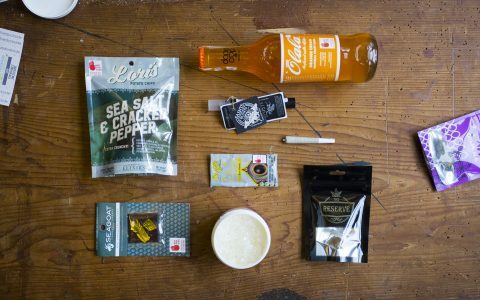 Below, meet a classic eighth from Mendocino, a terp-heavy shatter, organically grown clones, a three-pack of half-gram joints, and a solventless whole-plant extract. Note: Prices may vary by retailer. 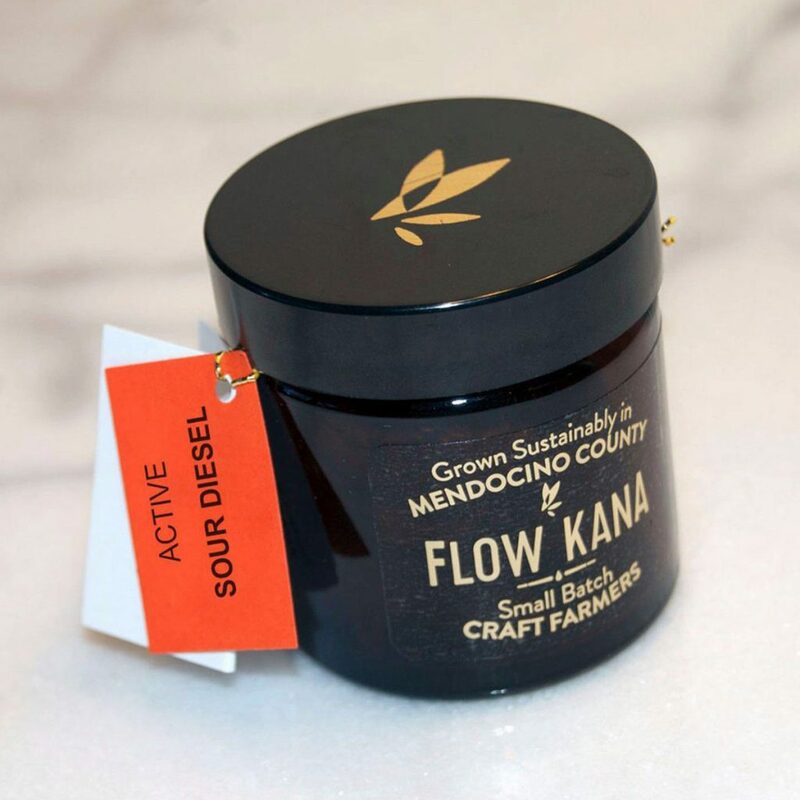 Sustainably grown in small batches in the Emerald Triangle, Flow Kana’s pungent flower displays orange-tinged hairs and begets a clear, creative high. The nugs are packed into gold-lettered amber glass jars, which protect against cannabinoid-degrading UV rays. Notes: Grown by farmers at Shambhala Ranch in Mendocino County. When to use it: Afternoon errands. 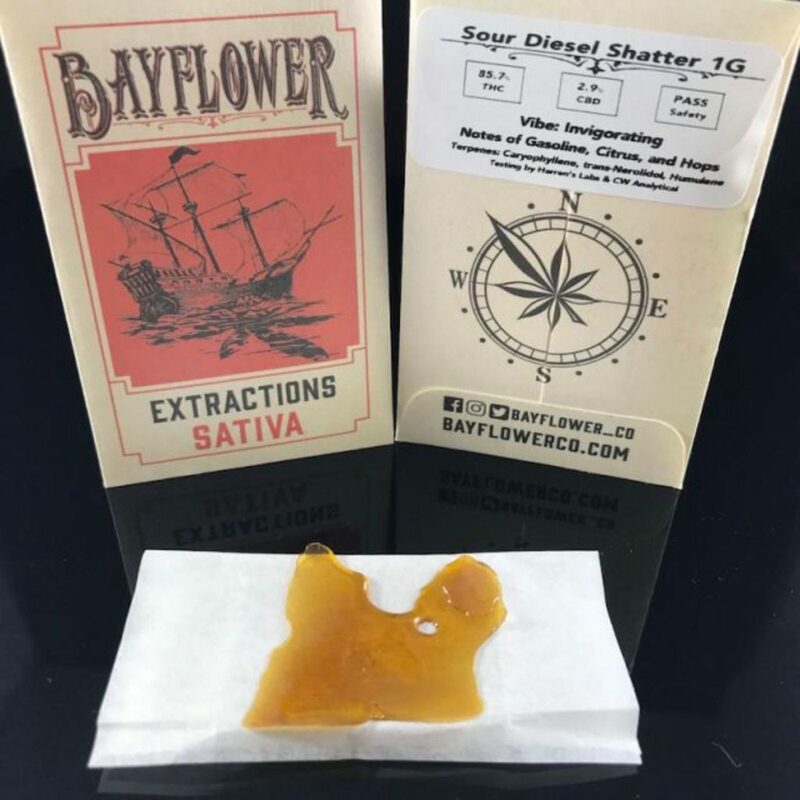 A hoppy, citrus-laden diesel scent and flavor are derived from high levels of the terpenes humulene, caryophyllene, and trans-nerolidol measured in this clear golden gram of high-potency shatter. In concentrated form, Sour Diesel’s energetic, cerebral buzz is intensified in a great way. Notes: 85.7% THC, 2.9% CBD. When to use it: Tackling a weekend art project. 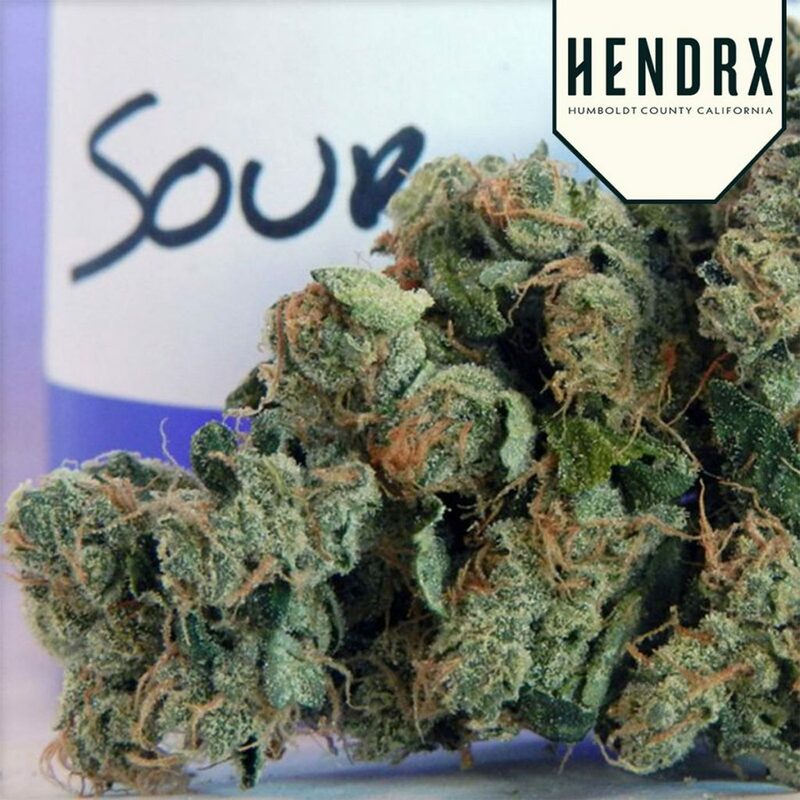 There’s no Sour D like your own Sour D. Grow it in your home garden with a clone from Humboldt County-based HendRx—they specialize in producing pesticide- and chemical-free cannabis plants, which are optimized for reliable cannabinoid and terpene production. Notes: Grown with organic methods in Arcata, California. When to use it: Starting your home grow. 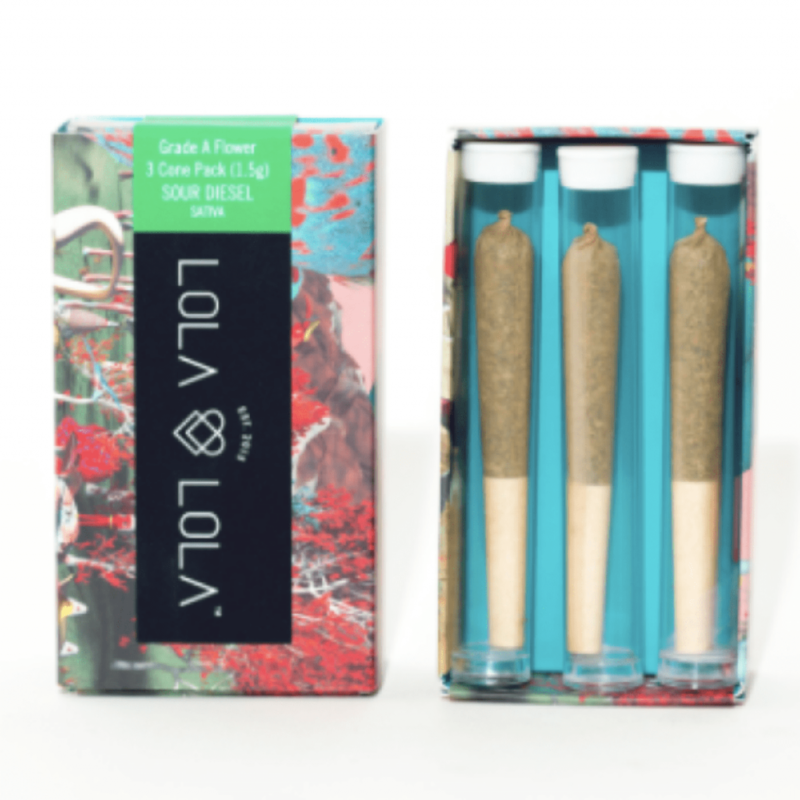 Everyone’s favorite whimsical cannabis brand rolls cones of their pungent, limonene-loaded Sour Diesel flower, packaging them up in three-packs with a total of 1.5g euphoria-inducing cannabis flower per pack. They come in their own gorgeous slide-open box that fits perfectly into a purse or back pocket, but are also packaged in individual tubes so you can easily gift them to others. Notes: 18.2% THC, 0.04% CBD. When to use it: Post-happy hour, shared around a circle of friends. 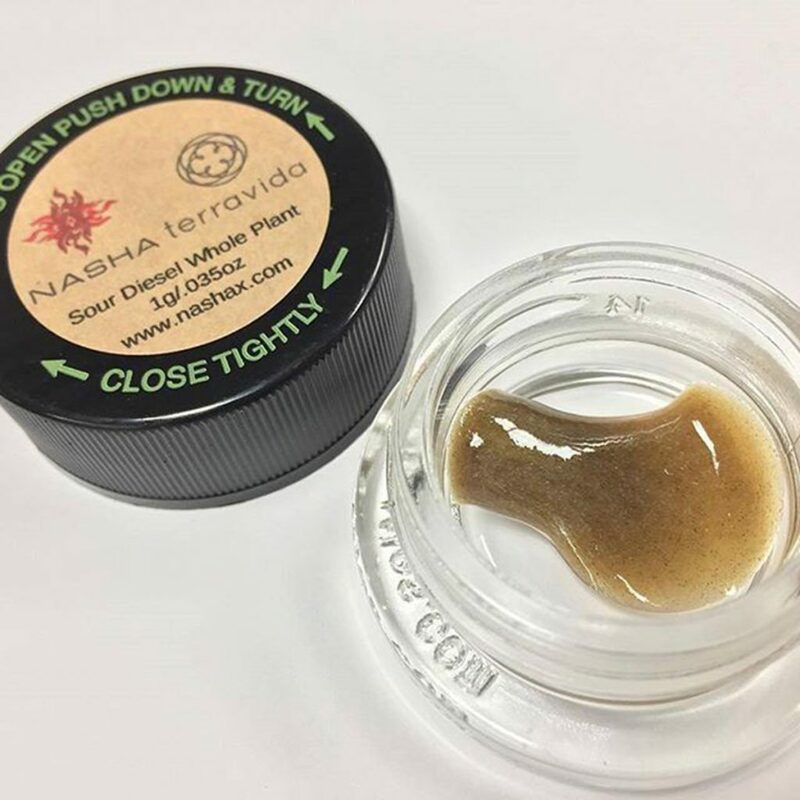 Extracted from whole buds without the use of solvents (cold water does the trick), Nasha’s glittery concentrate displays sour fruit and classic gasoline aromas and flavors when you dab it. The word Nasha means “the state of transformed consciousness; exhilaration or excitement of the mind” in Hindi, and this extract will do exactly that. When to use it: Your first dab at home after a long day of work.